We provide fun, skills based, group sea swim sessions for beginners to experienced swimmers. These sessions are ideal for swimmers who want a well structured open water training session. The ability to swim 200 m non-stop in the pool. I'm very happy swimmers bring flippers with them to this session if they have confidence issues however a 200 m minimum swim ability is necessary so you are safe and those around you are safe. In the first instance please call Jenny (027 2423527) to discuss entry. Children under 16 years of age must be able to swim 400 m in the pool non-stop and be accompanied by a guardian who remains with them the whole time and who is a competent swimmer. Are highly recommended both before Xmas. Wetsuits can be hired from Swim T3. Am I good enough to come to a Thursday session? 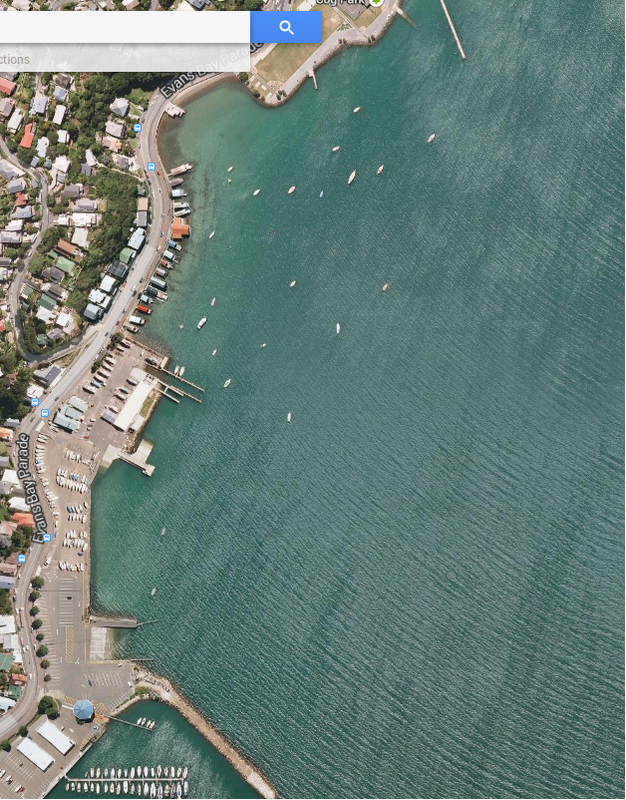 The majority of the sessions will be held at Freyberg Beach on Oriental Bay. When strong northerly winds are blowing, with lots of whitecaps, we’ll swim at Greta Point Beach, Evans Bay, which is 5 mins travel away. Normally sessions will carry on as per normal other than when there has been significant heavy rain leading into the swim session. If there has been heavy rain and the council has notified the public that pollution levels are high in the harbour. Jenny will add a note to this website but also add a notification to the Traction Fitness Facebook site. Can I really get better in just a few sessions? Most definitely! With a combination of knowledge, skills and practice it’s incredible how quickly my swimmers learn! My problem is my technique, can you help? If you feel you need individual swim technique instruction you can book a one-on-one swim lesson - call Jenny on 027 242 3527. What happens if it’s really windy and rough? Sessions will not be cancelled - they will be moved. The decision will be made on the day – Jenny will update all registered swimmers. Alternatively call/email or Facebook Jenny to confirm. Can I just drop on down to a session without Registering? I am very keen that you register online and in advance, unless you have previously registered. To ensure your own safety and that of the staff and other swimmers wetsuits are recommended. Wetsuits can be hired or bought before the day from SWIMT3 - across the road from Freyberg Pool. I’m really not happy in the sea, is this too advanced for me? If you are able to swim 200 m non-stop in the pool we can get you swimming well in the sea. However if you feel you need more confidence perhaps book in for a one-on-one swim lesson with me - we can have one in the pool or sea. Are all swim sessions the same? No, each session will be different. The focus of the session will change and may depend on the group and the conditions. Will we get to swim at other beaches? Sessions will be at Freyberg or Hataitai Beach. If you are happy to swim longer events please refer to the Wellington Coastline Sea Swim Series as there are some great swim courses on offer. Do you teach kids and teenagers? What is the cost of a 1-on-1 private session? $80 per hour. For more information please contact us online or phone Jenny on 027 242 3527.